In possessing a significant proportion of the world’s biological diversity, Indonesia represents a fulcrum for global biological diversity conservation. However, despite being a member of global coalitions on biological diversity conservation efforts, due to the lack of a clear narrative, especially in regards to genetic diversity conservation, Indonesia is continuously losing its biological diversity. In this paper, we highlight the importance of genetic diversity and possible strategies for its conservation from an Indonesian perspective. We address the relationship between Indonesian national regulations/strategies for genetic diversity conservation with the most dominant international agreement on the topic, the Convention on Biological Diversity. 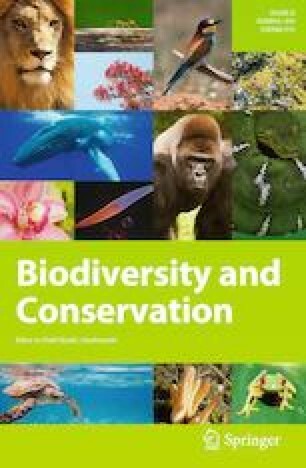 A review of Indonesian national regulations and strategies highlight the importance of elaborating on the definition of “genetic diversity and resources” in the Indonesian conservation narrative to create improved strategies for genetic diversity conservation. Furthermore, the addition and optimization of genetic resource conservation facilities can also improve genetic diversity conservation in Indonesia. We also explore strategies connected to stimulating economic growth using Indonesian genetic diversity through metabolic engineering, synthetic biology, and systems biology. This research was supported in part by the Science and Technology Research Partnership for Sustainable Development (SATREPS) from the Japan Science and Technology Agency (JST)/Japan International Cooperation Agency (JICA).